When I first moved to Florida two years ago, I was amazed at the peace and quiet in the part of the state I lived in. 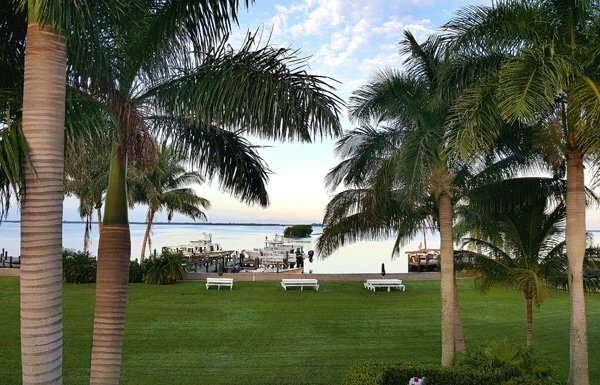 But nothing I’ve experienced to date can compare with the peace and serenity I experienced during my stay at the Tarpon Lodge on beautiful Pine Island. 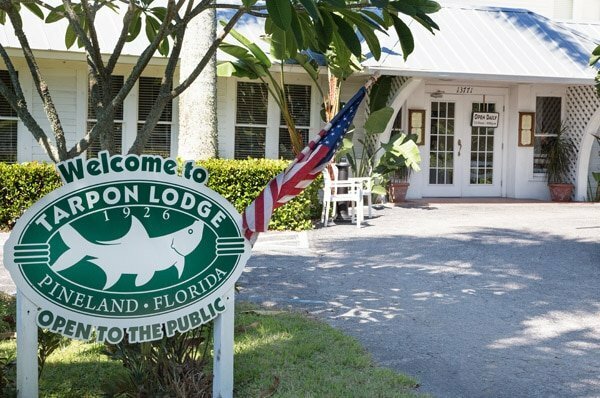 I visited Tarpon Lodge as part of The Blogger Road Trip for Superior Small Lodging of Florida, but I guarantee that all opinions are 100% mine. 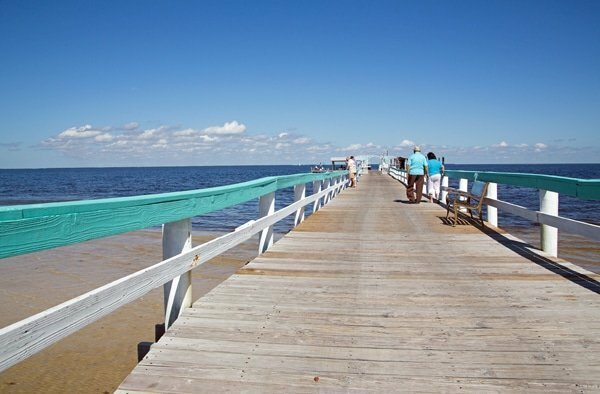 If you’re like me and had never heard of Pine Island, that’s something you want to remedy ASAP! I have to say I wasn’t sure what to expect and I was blown away by the beauty and simplicity of the island. As we drove across the causeway leading to Tarpon Lodge, we passed through the very colorful village of Matlacha (pronounced “mat-la-SHAY”). And although we’ve never been to the Florida Keys the little village of Matlacha looked exactly like what we would have expected upon entering the Keys. Full of artist galleries, eclectic shops and eateries. As we got closer to Tarpon Lodge we passed Eagle and Osprey Nests, Palm Tree and Mango Farms, Cattle Ranches and the local post office. 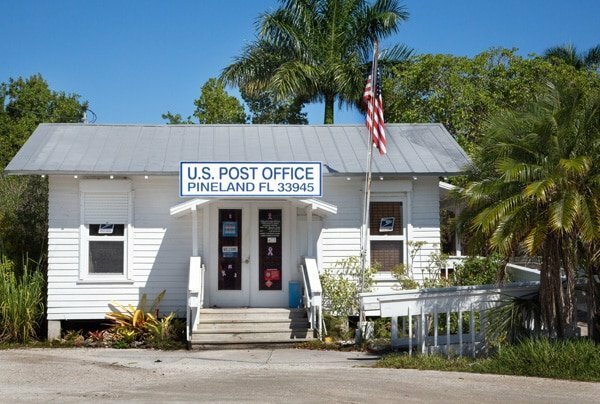 If you do stop by the Pine Island Post Office, don’t go at lunch time, because you’ll find them closed for lunch as we did, gotta love it! 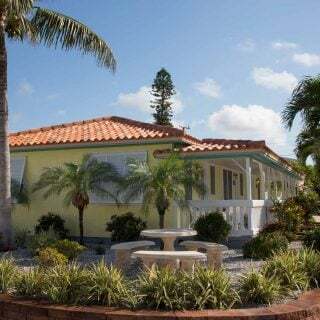 As we pulled up to Tarpon Lodge and took in the beauty of the area and this Island Paradise we knew this was going to be a different experience for both of us. This was the “Old Florida” we had been searching for. 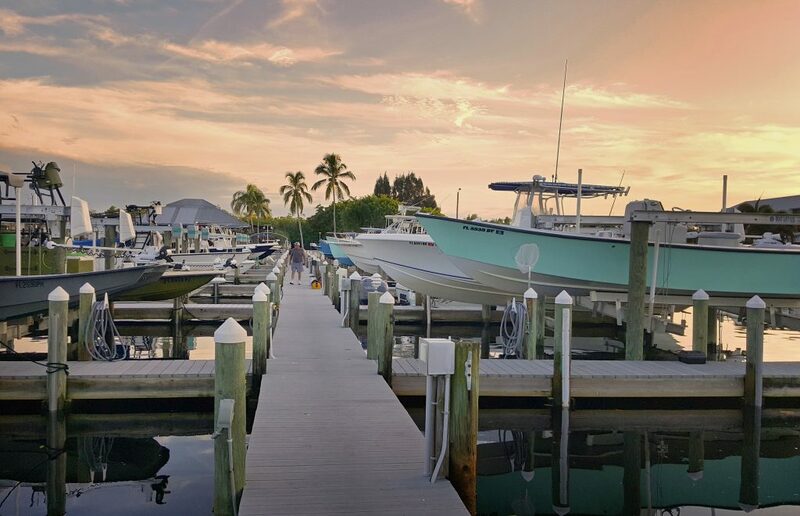 Tarpon Lodge has been run by the Wells Family since 1999, they originally moved to Cabbage Key in the seventies where they still live and operate the Cabbage Key Resort on that island (which we will get to on another post). When speaking with Rob Wells, he recounted the stories of growing up on an island and how he had to take a boat to Pine Island for school every day. Cabbage Key and many of the other small islands are still only accessible by boat and while most do have power now, there are a few still operating off of generators. When we opened the door to our room, we were greeted with this incredible view. Sliding doors opened to our balcony as delightful breezes danced through our room from the calm gulf waters just across the lawn. Have I mentioned just how much I Love Florida Lately? 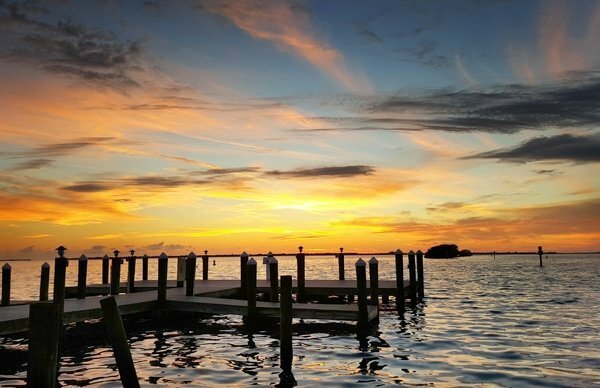 Of course, our first sunset at Tarpon Lodge was SPECTACULAR! We sat on the dock and took in the sunset from start to finish, not wanting to miss one glorious minute of it. When you see a sunset like this (which happens almost every night on Pine Island) it really makes you appreciate the beauty of nature. You relax and realize that all those things you thought were important, really weren’t that important after all. There is a lot of merit in the old saying “Take Time to Smell the Roses” . 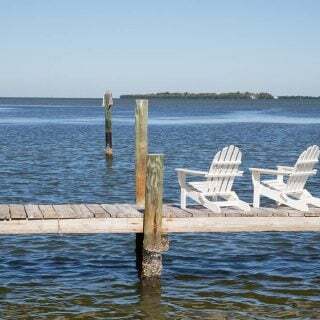 We get to caught up in life sometimes to take time for what’s really important in life and our trip to Tarpon Lodge gave us an opportunity to slow down and connect with nature. And then there’s food glorious food……sigh. 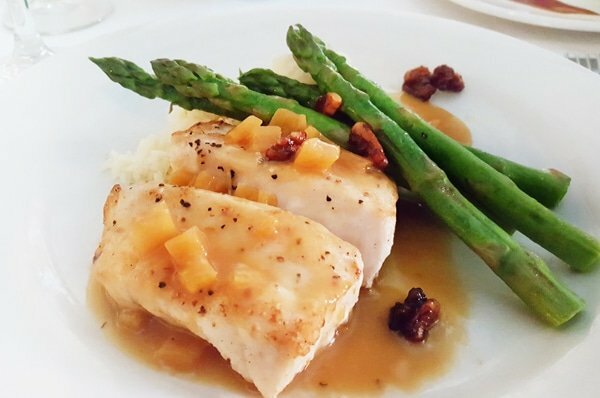 The Tarpon Lodge & Restaurant boasts quite a gourmet menu with a very talented chef and kitchen staff. 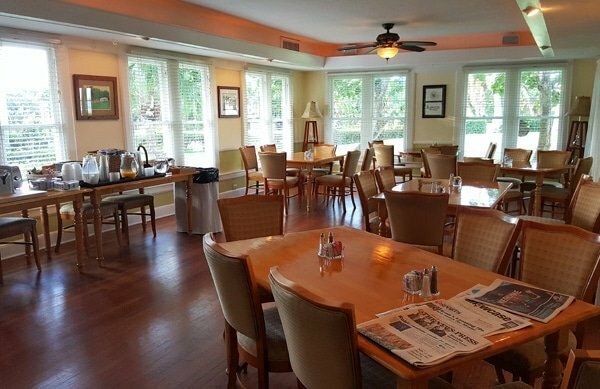 The Tarpon Lodge is also a B&B which means every morning you can enjoy a delicious continental breakfast in one of their beautiful dining rooms. There other dining room is a patio area that overlooks the water, we were lucky enough to score a table on a busy Friday night in that area. They also have a very nicely appointed bar area with live music. 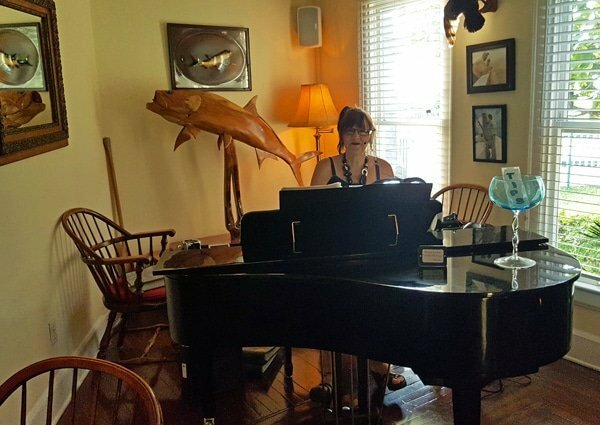 we were fortunate enough to catch Sister Kate, who is described as a “sailor, scientist, songwriter, and golden-voiced singer, who loves being creative on the piano. She can play blues, jazz, folk, island music & shanties. She captivates, charms, amuses and entertains” I can verify that statement to be true, with one of my favorites being her rendition of “Killing Me Softly with His Song redone to Killing Me Softly with Kung Fu”. 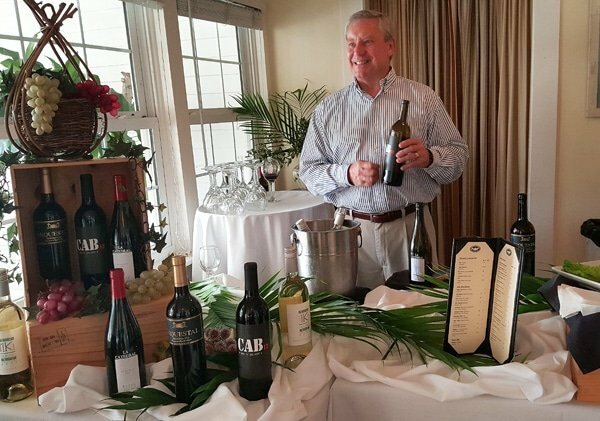 We also got to experience a wine tasting at the Lodge as they showcased some of the new wines being brought in for the season. 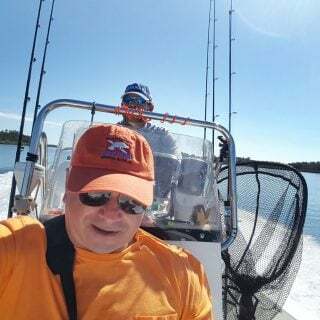 There’s a lot to do on the Island especially if you like to fish. This is one of the local fishing piers at the Bokeelia end of the island. If you don’t fish it still makes a great spot to sit and enjoy the day. You also get to enjoy all the local wildlife up close and personal! I just got a new camera lens so I can start getting shots of the pelicans, eagles and osprey in flight. We had dinner our first night on the Island at the Lazy Flamingo a local restaurant chain. Fresh seafood is everywhere on this beautiful island and we enjoyed some local Florida Pinks as a starter. 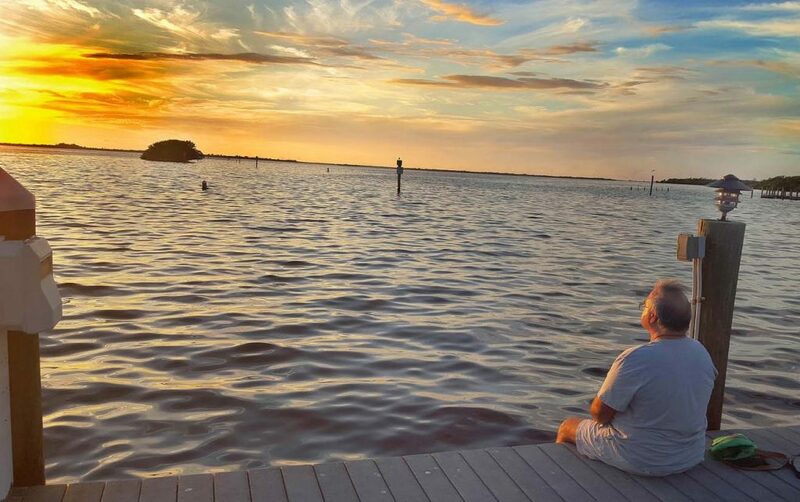 But my favorite spot every evening was sitting on the dock at Tarpon Lodge with Lisa watching the sunset. 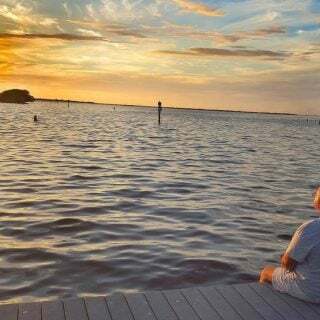 Lisa snapped this picture of me while I was enjoying the beauty of the sunset and I felt that it summed up my experience pretty well. Relaxed, happy and at peace. Click on this link for more information about the Tarpon Lodge . You can also follow them on Facebook and get your daily dose of Florida sunshine and relaxation! 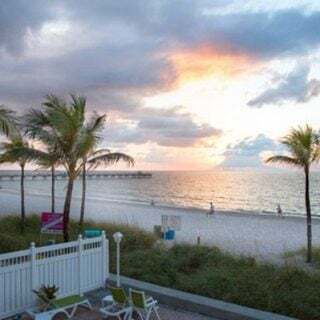 For more information about traveling in other areas of Florida and staying at “Old Florida Style Properties” go to Superior Small Lodging. LOVE this blogpost – the idea of “Old Florida” sounds amazing. 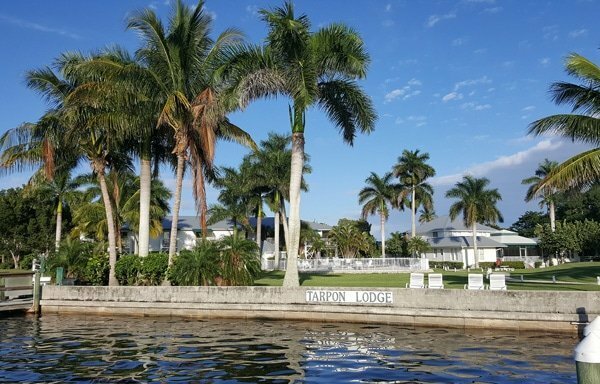 I can’t wait to visit Tarpon Lodge! 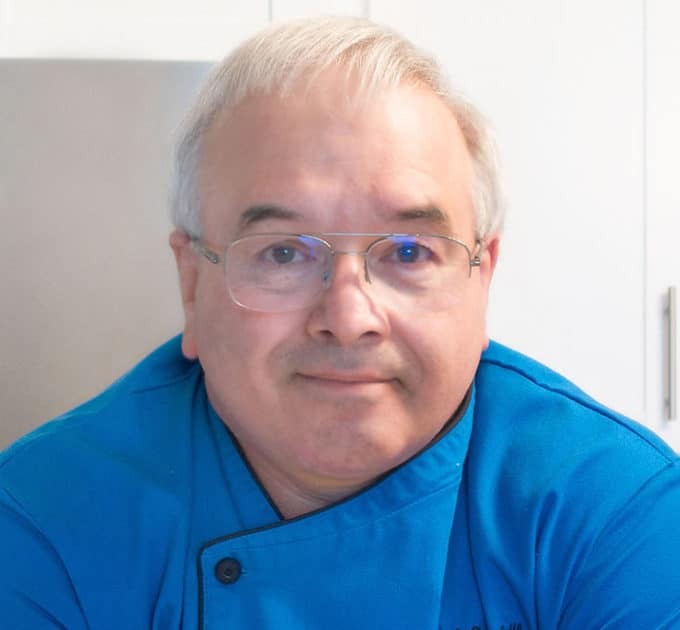 Brings back fond memories for me, Chef Dennis. Although we didn’t stay at the Tarpon Lodge, Hubby and I had an exquisite Anniversary lunch at their restaurant. 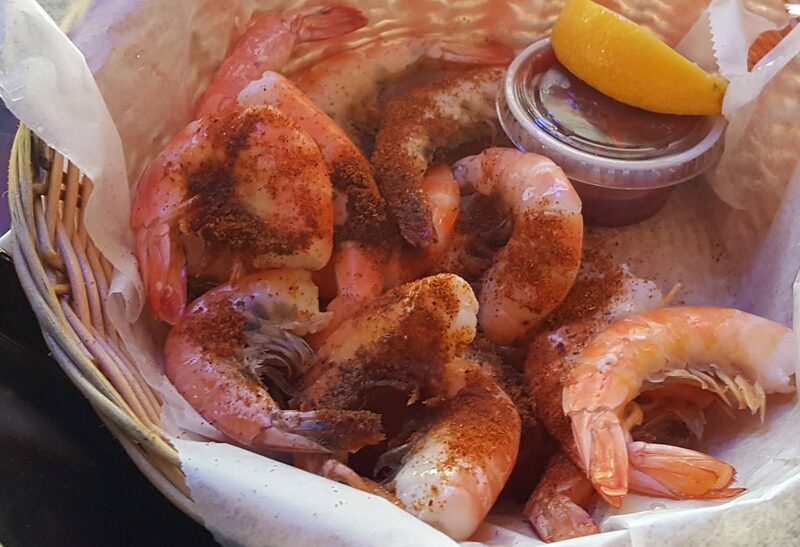 Amazing fresh-off-the-boat seafood! 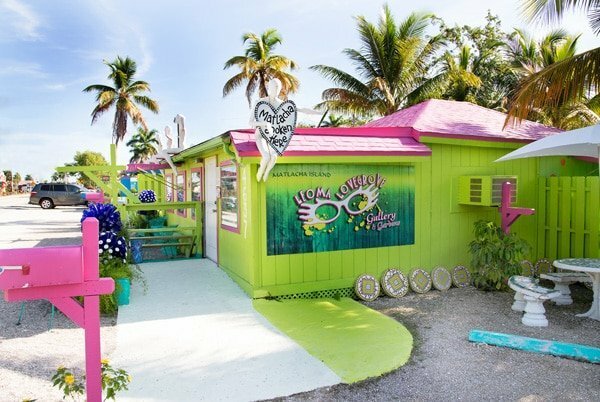 We loved Pine Island, including Matlacha, the tiny artist enclave. 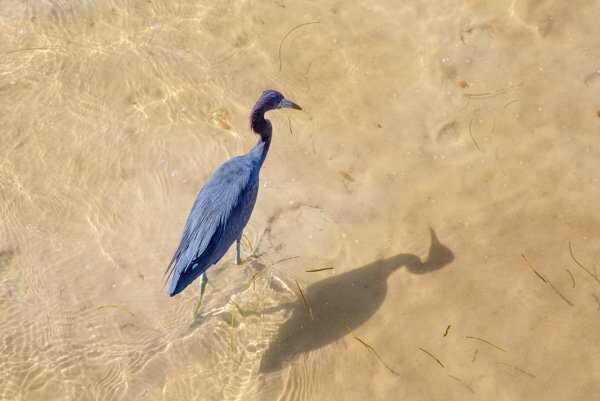 We’re returning to Sanibel in September and looking forward to taking our friends on an excursion to Pine Island. Cannot wait to return. 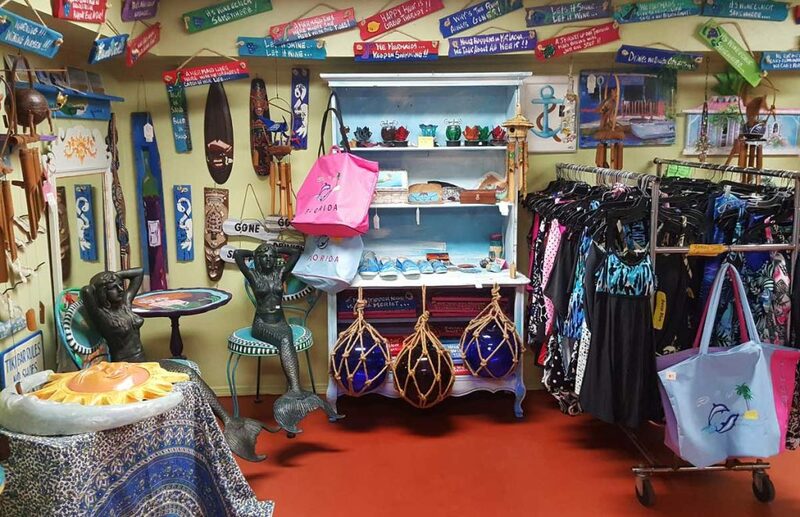 Like you, I love “Old Florida.” Great article… and glad I found your website! PS… I’m in Kissimmee, so we’re actually neighbors! Thanks so much for stopping by and I’m very happy to hear we’re neighbors! I’m currently traveling but will be back in Florida in a few weeks. We’ll have to get together for coffee to talk shop. It was a glorious property Kati! Looks like an outstanding place for a get-away.